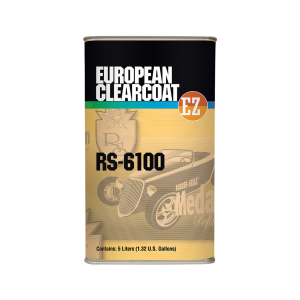 A high-production clearcoat that is compatible with all acrylic and polyester basecoat systems. Air dries in about 2-3 hours. Levels instantly as it hits the panel, making it very easy to get a smooth, high-gloss finish. RS-6100 is National Rule compliant. It mixes 2:1 with RS-6000 series activators. Available in 5 liter and quarts.